Seo Iain Niall mac Sheòrais `ic Iain `ic Iain a' seinn na fìdhleadh 's Anna NicLeòid a' toirt taic ris air a' phiano. Tunes played by John Neil MacLean and Anna MacLeod. Puirt air an gabhail le Iain Niall mac Sheòrais `ic Iain `ic Iain. Tunes by John Neil MacLean. B’ ann a shliochd Uibhist a Tuath a bha Iain Niall mac Sheòrais `ic Iain `ic Iain. Rugadh e ann an Léig Ghabarus, Siorramachd Cheap Breatainn. Bha Gàidhlig aig a phàrantan `s suim mhór aca ann an ceòl na fìdhle. Thog e fìdhlearachd 'na ghill' òg. Bhiodh Iain Niall a’ cluich aig dannsaichean air feadh Cheap Breatainn an Ear Dheas. Bha e `na thoileachadh dha a bhith a’ measg chàirdean ag eiridh air puirt a' riarachadh. John Neil MacLean was a third-generation descendent of settlers from North Uist. Born in Lake Gabarus, he was a well-respected electrician in Cape Breton/Richmond counties. John Neil was raised in a home rich in the Gaelic tradition; his parents were both fluent Gaelic speakers and their love for music was strong. Their neighbour, Earl MacVicar got John Neil started on the fiddle when he was just a boy; and school teacher Alex Ferguson, who boarded with the MacLeans, often helped John Neil pick out a few tunes in the evenings. 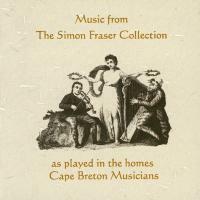 John Neil played for dances throughout Southeastern Cape Breton and took great joy in having friends visit and sharing tunes.